More poor results for Leeds local newspapers. How and when will it end? It’s grim news. Again. For both The Yorkshire Post and sister paper The Yorkshire Evening Post. 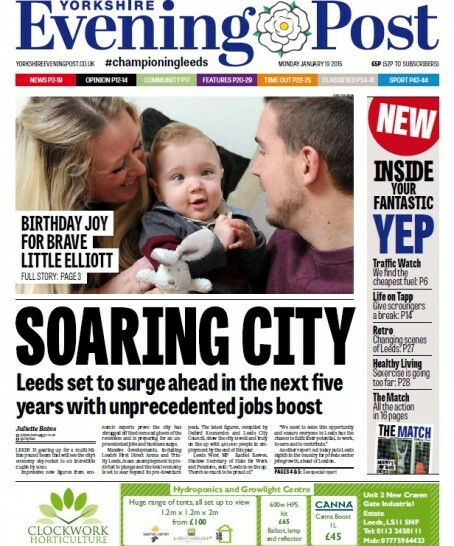 We already knew that parent company Johnston Press had a dismal first half of 2015 – shares tumbled when a profit warning was issued in July – but figures released yesterday show how tough it has been for its two Leeds newspapers. Despite yet another relaunch at the beginning of the year (aimed at placing the paper “at the heart of an upwardly-mobile 21st century city”), the Evening Post’s sales have continued to fall dramatically. It is now only selling just over 20,000 copies day, down 16% from last year (one of the biggest percentage falls of all UK regional dailies), and is being outsold for the first time by the Sheffield Star. The Yorkshire Post recorded a more modest fall of 10% in print sales, but a disastrous 10.6% FALL in the average number of “unique browsers” visiting its site every day – down from 28,658 to 25,615, according to online traffic stats released by ABC. Like every other regional paper, The Yorkshire Post and The Evening Post are banking on replacing lost revenue from print with money made out of increased website traffic. But in Leeds, it doesn’t look like enough traffic is coming. The Evening Post saw an increase of 13.6% of daily “unique browsers”, way below the national average of 32.8%, and way, way below the increases at the local papers in Manchester (up 74.8%), Newcastle (87.5%) and Liverpool (90.1%), all of which are published by Johnston Press’s rival Trinity Mirror. It gets asked every time circulation figures are released, but where is this all going to end and when? The received wisdom from publishers is that local print papers will be around for some time yet, with revenue trickling away slowly enough from print for online to save the day. But what if, as this commentator suggests, there is a kind of psychological tipping point approaching for advertisers, when they start to have second thoughts about the value of print advertising campaigns given the small number of readers? How small is small? At the current rate of decline (30% since 2013) the Evening Post will be selling some 14,000 copies a day in two years time, and under 10,000 two years after that, in 2019. Would that be small enough? In the meantime, there is talk of consolidation in the regional press industry, with all the major players, including Johnston Press, “publicly positioning themselves as open to (merger) deals”. A merger between JP and the Newsquest Media Group (owners of the York Press and the Bradford Telegraph) would offer some economies of scale in our region. If that doesn’t end up happening, Johnston Press could always try turning the YEP into a free paper to rival Metro (this year’s re-launch gave it more of a Metro-style look and feel). I’m told they’ve been giving the YEP away for free in recent weeks at Leeds train station, whether as a promo tool or to test the waters is anyone’s guess. Here are this year’s stats for print sales. Note that some 1,200 of The Yorkshire Post’s total is not paid for. And here are the stats for web traffic. In two years, the Huddersfield Examiner has left The Yorkshire Post way behind. And here are those local online stats in the context of the rest of the country’s local papers’ website traffic. This entry was posted in News and tagged ABC circulation figures, johnston press, leeds, local, online, press, trinity mirror, yorkshire evening post, yorkshire newspapers. Bookmark the permalink. 4 Responses to More poor results for Leeds local newspapers. How and when will it end? Thank you very much for the excellent blog which has saved me searching around for the sales and web traffic figures. A few years ago Johnston Press was due to repay its bank debt of £300m in September 2015. However, last year it restructured its debt so its debt is smaller (around £180m) and the interest it is paying has been reduced so the company has bought itself more time. 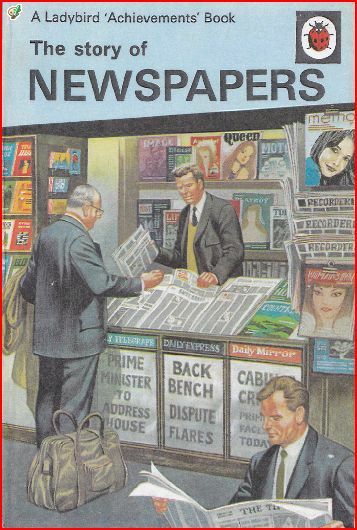 A merger with a rival could lead to some cost savings but each office will need its own editor and journalists which reduces the scope for savings, especially as some of the companies already use the same sales operations (Johnston Press and Newsquest both use one and Trinity Mirror and Local World both use another). However, even if the Evening Post and The Yorkshire Post can significantly improve their web traffic they may still lose advertisers (and especially the small classified advertisers who have been the bread and butter of local newspapers) as alternatives which are purely advertising services become more popular. The Evening Post’s figures are bad but The Yorkshire Post’s figures are much worse because it is sold across a much larger area as it is a regional newspaper rather than a local one. I’ve seen circulation figures which break down sales by location and include links to demographic profiles of each location and The Yorkshire Post is almost beyond salvation. Its sales have been falling at 5-10% a year because its readers are dying and that’s not a metaphor or an exaggeration. For decades The Yorkshire Post has been aimed at older white people with right-of-centre political views living in rural or suburban areas and over the decades many of those readers have died and now there are parts of Yorkshire where almost no-one buys The Yorkshire Post. There are only five areas where more than 5% of households buy The Yorkshire Post and in Yorkshire’s cities and big towns it is less than 2% or 1% or even 0.5%. There are generations of people who would never consider buying The Yorkshire Post or even reading it online for free because it’s not for them. How will it end? A hot summer, a cold winter or a flu pandemic could kill off The Yorkshire Post. I always find these sales figures are a bit of a convenient excuse to point the finger elsewhere and blame “changing demographics” etc, which masks the real reason for the decline in our local newspapers. Yes, people have more access to different news sources these days and the dawn of digital has given readers more choice where they read all about it. But, as you point out, look at the digital figures for other titles not a million miles away. People still want to read local news, they still care about what happens in their city and they’ll still get it from their local newspaper (or their website) given the opportunity. The reason the YEP has declined so rapidly and so badly is because it’s been hamstrung by a seemingly endless succession of bad management decisions and investments made by people who don’t work or live in Leeds and who have little knowledge of or interest in local news. That basically kicked the legs out from under the print edition because it means the paper pretty much has to be done and dusted by early afternoon meaning there’s virtually no scope for you to be able to pick up a paper on your way to work and read about anything that happened after 3pm the previous day. The thinking behind that was, it would mean cheaper printing costs and of course, people could read breaking news on the website (the one that doesn’t make any money). You’d think if they were going bank on the website so much then they’d really put some resources into making sure the digital operation was top drawer and that there was smooth cross-promotion with the paper (which still did make rather a lot of money). Again, I can say with some confidence that never happened. Not even a bit. Which brings me to the biggest and saddest mistake- staffing. I’m sure you’ll have read about the redundancies, industrial action etc down the years but it’s probably only now that you’re really seeing the consequences of the cuts which were imposed in the shape of figures like these. It’s always quite sad to see the comments about “poor journalism” that seem to be a daily occurrence on the YEP website or Facebook page. The fact is that far from being some bloated, Daily Planet-style reporting pool, what you have down there is an absolute skeleton crew of incredibly passionate, dedicated, talented and under-paid people who are chained to their desks simply struggling to keep their heads above water each day and get a paper (and a website) full with a team far less than half of what it was five years ago. It’s not the standard of journalist that has declined, quite the opposite. Those that are left just can’t do the job the way they used to and to the standard that readers would like because there aren’t enough of them and they’re being asked to produce an increasing homogenised product as quickly as possible. If, in years to come, we don’t have a YEP or a YP, it won’t be because people don’t care about local news, or because the journalists were out of touch. It will be because what were once cornerstones of local news have been reduced to assets, fit only to be bled dry for as long as possible before the husks are tossed away. And our city and our county will be a much poorer place for it. Amen to all of that. Have nothing but respect for the journalists, who clearly do a brilliant job against the odds. From the outside it looks like a succession of poor management decisions, often taken at group level, that have got the papers to their current precarious state. Very depressing. Where are we going to get our news? There’s no-one else. They need to stop trying or pretending that they can cover the whole of Yorkshire. Scrap the Yorkshire Evening Post and launch the Leeds Evening Post. The papers that cover only one city area are doing much better, concentrating thin resources in a smaller geographic area. I read an article years ago that hyper-localised papers are the way forward and it does appear to be true.